“He’s a gambler at best, a con artist at worst,” her aunt had said of the handlebar-mustached man who snatched Ella Wallace away from her dreams of studying art in France. Eighteen years later, that man has disappeared, leaving Ella alone and struggling to support her three sons. While the world is embroiled in World War I, Ella fights her own personal battle to keep the mystical Florida land that has been in her family for generations from the hands of an unscrupulous banker. 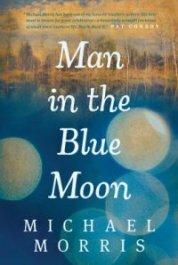 When a mysterious man arrives at Ella’s door in an unconventional way, he convinces her that he can help her avoid foreclosure, and a tenuous trust begins. But as the fight for Ella’s land intensifies, it becomes evident that things are not as they appear. Hypocrisy and murder soon shake the coastal town of Apalachicola and jeopardize Ella’s family.